In 2017, about 5,751 medical clinics in Ho Chi Minh City made concerted efforts in taking care of people’s health. Medical facilities provided treatment to 42 million patients citywide and patients in neighboring provinces, accounting for 26.2 percent of total patients nationwide; of whom, 2.3 million were in-patients. 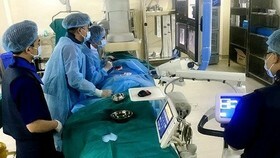 Last year, in addition to developing skills to catch up with their peers in the world, medical workers in big hospitals in the city also performed well on their duty in satellite facilities and transferred techniques. 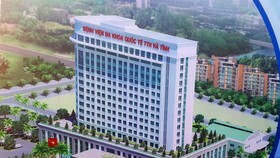 Director of the Department of Health Professor Nguyen Tan Binh said by the end of 2017, eight hospitals such as Tu Du Maternity Hospital, Tumor Hospital, the Trauma and Orthopedics Hospital, the Children Hospital No.1 and 2, People’s 115 Hospital, Gia Dinh People’s Hospital, and Hung Vuong Maternity Hospital had opened 23 satellite clinics in cities and provinces in the South. 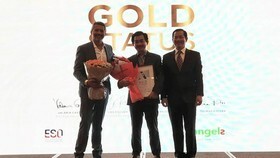 For instance, Cho Ray – Phnom Penh Hospital was opened in Cambodia. 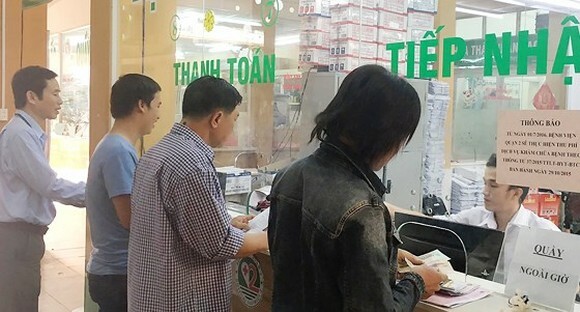 Meanwhile, the remaining hospitals and the General Hospital in Thu Duc District opened satellite departments in districts 2, 9, 7 and Cu Chi, aiming to help reducing patient overload for large hospitals. 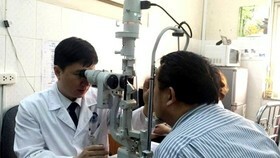 Other 14 satellite departments of the Trauma and Orthopedics Hospital, the Children Hospital No.1 and 2, People’s 115 Hospital, Gia Dinh People’s Hospital, Hung Vuong Maternity Hospital, Heart Institute and Eye Hospital also opened in many districts in the city contributing to send good young doctors to grass-root facilities. 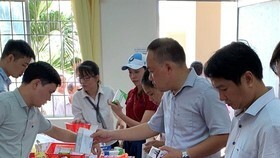 Some of satellite clinics in medical centers in districts had assisted to reduce crowded hospitals inner city including Thu Duc Hospital’s satellite clinics in Binh Chieu and Hiep Binh Chanh wards. 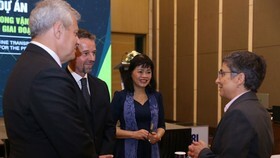 Professor Nguyen Tan Binh said providing emergency treatment outside hospitals is one of vital activities of the city’s health sector because the number of people who were treated outside hospitals increased drastically compared to three years ago when the city has not had satellite centers for emergency treatment. In 2017, around 12,000 people received emergency treatment outside hospitals. Accordingly, it showed the emergency center 115’s, private hospitals’ and satellite facilities’ relentless efforts. By the end of 2017, 25 satellite emergency centers had been placed in the city. 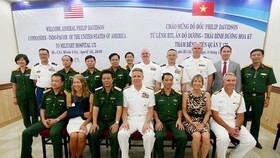 Many hospitals admitted over 1,000 patients a day especially some receiving over 5,000 patients a day like Thu Duc Hospital, or more than 4,000 patients a day like hospital in Binh Thanh Hospital. Professor Nguyen Tan Binh said the city health sector basically fights against patients overload in Children Hospitals or Tumor Hospital. Next time, when the treatment department which will be opened in Military Hospital 175 will help reducing overcrowdedness in Trauma and Orthopedic Hospital and Tumor Hospital more. The sector leaders take heed to developing the sector along with calling for social contribution to ensure enough personnel for serving the community as well as investing in techniques more with the aim to become one of the city’s nine high quality services. Moreover, the Department of Health has built models combining institute and school, upgrading Pham Ngoc Thach Medicine University to meet personnel demand for the sector. 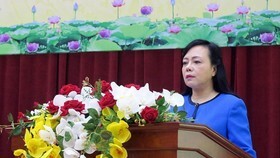 The sector will continue building practical hospital in Binh Chanh District and proposing preferential policies to attract good medical workers to work in rural districts like Can Gio, and Nha Be districts.